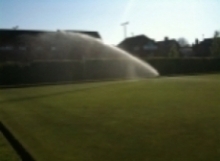 An automatic bowls green irrigation system from buyirrigation.co.uk that's within the reach of even the smallest club. Does your green deserve a drink? Starting at £3250 your club can have a fully automatic pop-up irrigation system, supplied withall you need for easy self-installation. Site the pump and tank within 15 meters of the green, then install the pipework and sprinklers. Connect a mains water supply to the tank, and provide two plug sockets for the pump and controller - it couldn't be simpler! 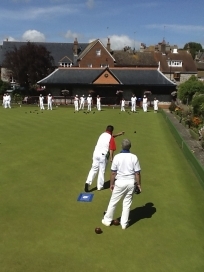 The ProBowl bowling green watering system comprises eight pop-up sprinklers for installation around the outside of the green, with one automatic hose fed unit on a stand for the centre. 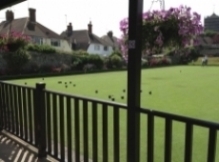 The option of a buried natural turf covered sprinkler installed within the green is also available. ...Or how about our starter kit? 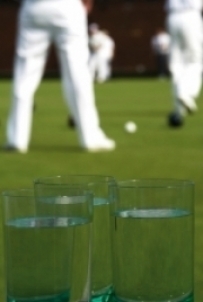 Your ProBowl bowls green watering system will be delivered by one of our engineers who will guide you through the installation process whilst on site. As a guide the installation time is around 100 man hours.